November is Financial Literacy Month in Canada. All month long, there are activities across the country to help Canadians of all ages to better understand how to make informed choices about their money. The concept of money is understood from a young age, but it is difficult to fully grasp. November is Financial Literacy Month in Canada. All month long, there are activities across the country to help Canadians of all ages to better understand how to make informed choices about their money. 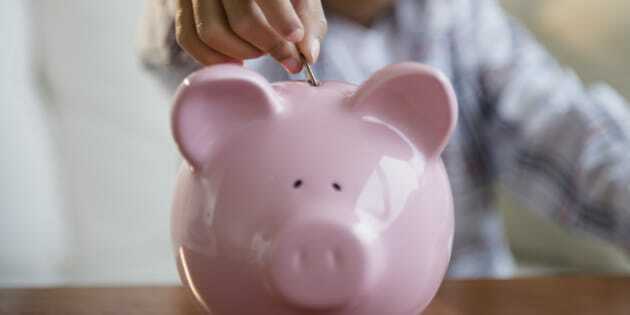 We can also do our part at home, especially since 89 per cent of youth believe that responsible money management teachings lie largely in the hands of parents. It's never too early or too late to start having "The (Money) Talk" with them. After all, managing money is a lifelong lesson, and most of us likely still grapple with one aspect or another. The concept of money is understood from a young age, but it is difficult to fully grasp. Our children watch us buy groceries or new shoes or take them to the movies. On the playground, our kids start to see what other children have and may start asking for things. In an increasingly cashless society where purchases are made with a swipe or tap of a card or smartphone, it may be more challenging to "show and tell" your lessons and bring home the message that "nothing is free." But the basics of financial management remain the same. My children are aged 10 and 14, old enough to be earning some money and making some of their own decisions in how to use it. My goal is to arm them with the financial knowledge and skills that will help make them financially savvy adults. Once our children start having pocket money, whether they earn it by doing chores around the house, receive money as gifts or as an allowance, it's a perfect opportunity for them to start to learn the value of a dollar. Give them the ability to decide if they save it, spend it, or donate it. All three of these aspects of money management have their own value and discussing it regularly with kids from a young age helps them build a foundation of sound money habits that will serve them well into adulthood. Regular saving is something that you are never too young to learn. Work with your child to determine the appropriate percentage of their earnings that should go into savings, and talk about what those savings will be used for. The act of saving money is usually tied to a goal. Help your child set that goal. If the goal is to buy a $20 toy, and the child earns $5 a week, explain that this toy could take at least four weeks to save for it. Even if it's just a small amount of money that kids are putting away, the amount grows over time with regular deposits. For younger kids, a savings jar is a common visual aid. Older kids can watch their savings grow in a bank account and learn about interest. Today, kids are bombarded with messages so it's not surprising that many expect to get what they want when they want it. It's important to teach them that sometimes you have to wait for something you want. Let's go back to the $20 toy. Perhaps your child also wants to buy a candy bar this week. Explain that it will take longer to save for the toy if he spends some of his money on candy today. If they have the opportunity to earn their own money, they've also earned the opportunity to spend some of it on things that they feel are valuable. As parents, this is where we have to give the most guidance to help them make a responsible decision. But sometimes it's okay to let our children make reasonable mistakes with small amounts of money. They can learn a lot from the first-hand experience, and hopefully make a better decision next time. This is often one area that is sometimes overlooked. Even parents with the best intentions to teach their kids about community and citizenship can sometimes forget that kids can play a part in giving as well. Again, giving kids some choice in the matter will help deliver the message effectively. Some kids may choose to donate a percentage of their earnings to a favourite cause. But there are many ways that kids can get involved in giving, such as choosing gently-used clothes or toys from their closets to give to a children's charity or volunteering their time at a local charity. When kids are part of the process of choosing and deciding on how they give back to their community, they'll feel involved and more ready to help. As parents, we are our children's first financial role models. And it doesn't stop. RBC research shows that our kids, as they enter post-secondary education, will consult us on financial issues on everything from paying for school to major purchases to investing. So, let's help our kids make sense from the dollars. Investing a little bit of time to educate our kids about money is one of the greatest skills we can give our children.